Visiting my office is always an interesting experience. This is probably more so when I am not there, and you can wander about and look at all of the interesting little things that surround my work space. One of the many items that can be found is an old, worn, battered baseball. No, I’m not a sports fan. Nor am I athletic. 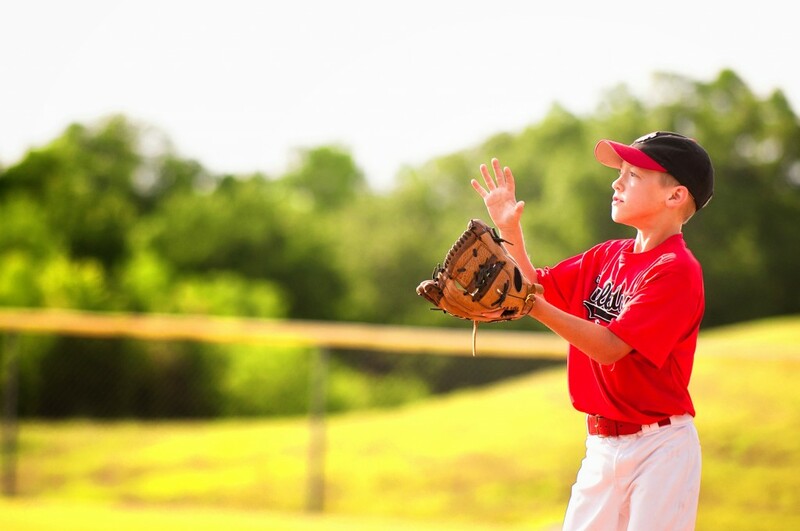 In fact, the extent of my sports related athletic feats is tossing that old baseball up in the air and – hopefully – catching it as I focus on a problem that needs to be resolved. It’s a reminder that Spring Training starts down south while winter holds its grasp on the northeast. It encourages me to trust that, when life throws a curve ball, there is always hope for new beginnings and trust in fresh starts. When the unexpected happens, we always have our trust and faith. That can never be be taken from us. In life, we are always setting goals for ourselves and working to make them happen. This gives us focus and ensures that we use our time and energy efficiently and effectively. It also provides us with a sense of purpose and direction. We know where we are going and what we want to do. But quite often, due to forces outside our control, things do not go as we had planned. There’s the flat tire on the way to the wedding, or the unforeseen flu virus. We then have to adjust to a postponement or create a whole new set of circumstances. Even positive turns of fortune, such as an unexpected influx of cash or falling in love, require us to be flexible and to reconsider our plans and priorities, sometimes in the blink of an eye. This is what happens when life throws us a curve ball. The ability to accept what is happening and let go of our original expectations is key when dealing with these unexpected turns of fate. We have a tendency to get stuck in our heads, clinging to an idea of how we think life should go, and we can have a hard time accepting anything that doesn’t comply with that idea. The simple fact is that life is unpredictable. The trip you thought was for business, but the deal fell through and you became depressed – actually landed you at the airport two days earlier than planned so you could meet the love of your life. Your car breaks down, and you are late for an appointment. While it’s true that you never arrive at that important meeting, you end up spending a few relaxing hours with people you would never have met otherwise. Remember that curve balls are not only life’s way of keeping us awake, which is a gift in and of itself; they are also often life’s way of bringing us wonderful surprises. However, when we receive wonderful surprises, we often find ourselves feeling as if we don’t deserve it. Whether it’s a car, a new job, or a date with someone wonderful, we suddenly feel as if we are not up to it. Something in us wants to reject this gift from the universe, perhaps because it requires that we think of ourselves in a new way or makes us question why we should have something that others don’t have. When these feelings of unworthiness are not consciously acknowledged, they can lead us to sabotage ourselves out of the gift being offered. Perhaps the best way to avoid rejection and sabotage is to simply shift into a state of gratitude, bypassing the question of worthiness altogether. The question of whether we, or anyone else, deserves something is not really in our jurisdiction. These themes play themselves out in ways we can’t fully comprehend – on the level of the soul, over the course of time and lifetimes. What we do know is that the universe has its own way of shifting the balance over the course of time so that all things are ultimately fair. We can trust in this process and understand that when a gift comes our way, it is because we are meant to have it. Otherwise, it would not be available to us. Accepting the gift with gratitude and using it to the best of our ability is true humility. When we receive a gift and find that feelings of unworthiness crop up, we can simply acknowledge the feelings and then remind ourselves that they are beside the point. So, the next time a curve ball comes your way, take a deep breath, say thank you, and open your mind to a new opportunity. It might just be a gift. 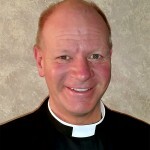 Reverend Rob is an ordained cross-denominational minister with a rich history in Roman Catholicism and Anglican Protestantism. With a Certificate in Theology, Bachelor of Arts in Ministry, and a Doctorate of Divinity, he is based in the Pocono Mountains of Pennsylvania. 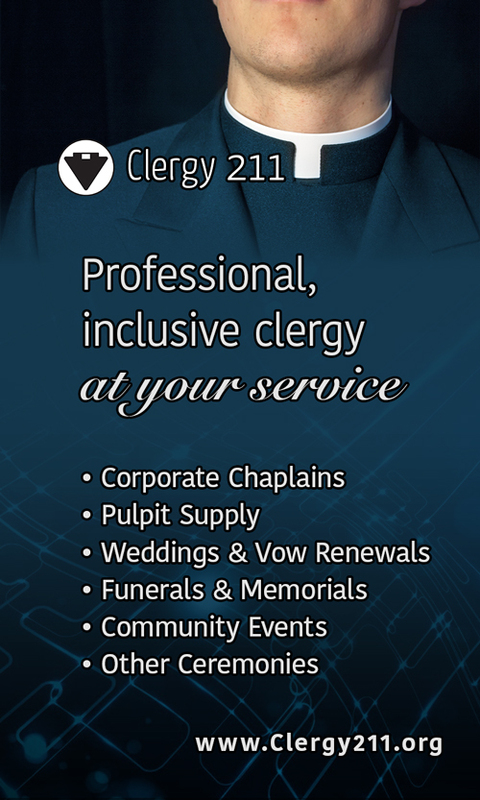 From there he serves New York’s tri-state area as well our Mid-Atlantic region, specializing in custom wedding ceremonies. His focus on the couple’s spirituality allows for personalizing each ceremony with either a religious or non-religious structure and crosses different denominations and faiths, which has increased his popularity and demand. As a published author of his book “Wandering Thoughts”, Reverend Rob continues to compose his reflections on life as he works on his second publication, and contributes to our monthly blog. His extensive volunteer work, commitment to his local prison ministry, and weekly prayer service with the elderly and marginalized, through his own Mission of Saint Francis, has established him as a respected member of his community.